A horse in heavy work requires additional energy and nutrients. Check out three diets that will ensure your horse gets what he needs. The National Research Council’s Nutrient Requirements of Horses classifies horses in work as: light, moderate, heavy and intense. Typically, a horse that is in heavy work would be one that is working four to five hours per week, such as most show horses, but also may include ranch horses, horses used heavily in lessons or camps, or racehorses in early training. 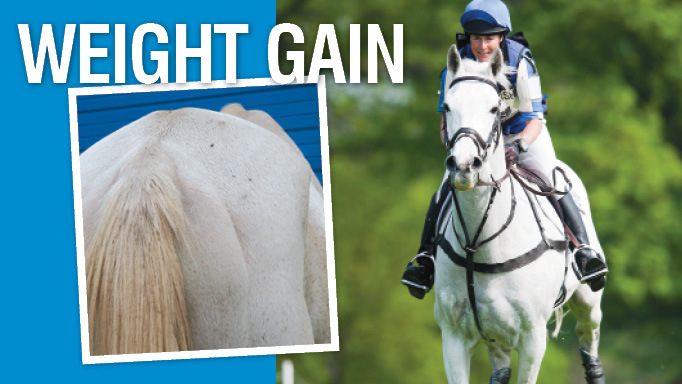 Compared to a horse at maintenance, the largest increase in nutrient requirements will be seen in energy (megacalories – Mcal – of digestible energy per day). We will also see some smaller increases in protein, calcium and phosphorus, and, of course, the electrolytes (sodium, potassium and chloride, which are lost in sweat). Again, it is important to keep a close eye on your horse’s body condition score to ensure you’re meeting his energy needs, as that is the easiest way to determine if his calorie intake is sufficient. Similar to a horse at maintenance or light work, horses in heavy work will consume between 1.5-2.5% of their body weight in forage (hay, dry pasture). These horses will likely have energy requirements higher than what could be met by even a maximum amount of hay, however, and, as such, need to be supplemented with additional calories from a concentrated energy source (such as whole grains or grain mixes like commercial feeds). It is usually recommended, however, to still feed performance horses the maximum amount of hay that they would eat, and balance for energy, protein, vitamins and minerals after accounting for hay intake. There are some cases where one may aim to restrict hay intake (such as for racehorses, where owners or trainers try to limit the amount of food weight in the digestive tract), but the negative problems associated with limited hay intake (such as gastric ulcers or colic) should encourage those working with such horses to maximize the amount of hay fed. In Example Diet 1, I have balanced the diet using 2% of body weight and grass hay (such as timothy or orchardgrass), the same hay as for the light work horse in the last article. 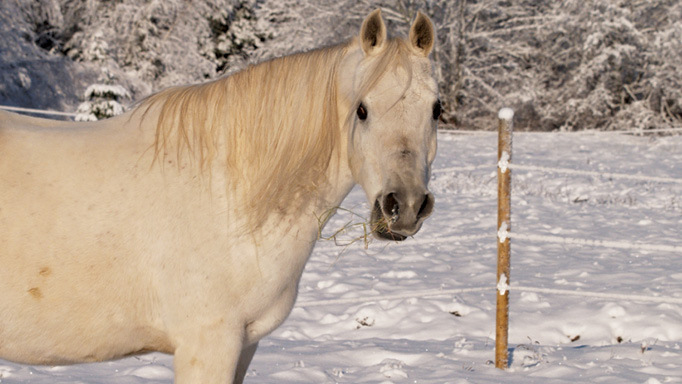 Because this horse has higher energy needs, the hay does not adequately meet these needs. I have, therefore, added oats, salt (free choice) and a vitamin mineral supplement for performance horses. Again, if left to “free choice” hay, this horse might actually consume more hay, and fewer oats (if any) would be needed to add calories to the diet. You can also see the relative contributions of each feed to the diet and the clear need for a supplement to top up the vitamins and minerals lacking in the hay or oats. It should also be noted that vitamin A is still slightly below requirements, even with the supplement, but these examples do not account for any beta-carotene (precursor for vitamin A) that may be in the hay. As long as the hay is relatively fresh, vitamin A intake should be sufficient (beta-carotene decreases over time with hay storage). A few carrots would also do the trick! In Example Diet 2, I decreased the amount of hay offered (to 1.5% of body weight) and offered a commercial grain mix formulated for performance horses, instead. 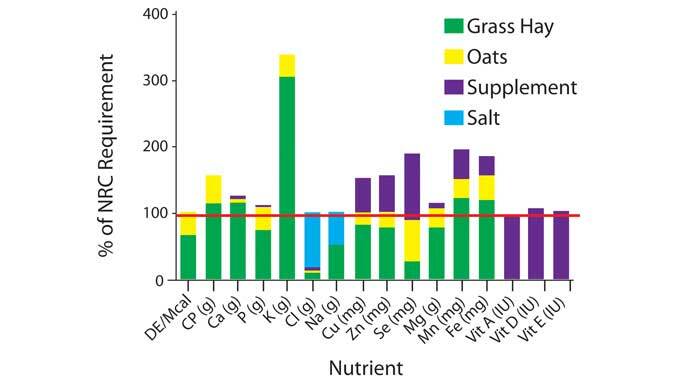 Again, you can see how commercial feeds have added vitamins and minerals that complement the hay similarly to the supplement added in Example Diet 1. In Example Diet 3, I chose a moderate amount of hay offered (1.75% of body weight) and added a mix of (molasses free) beet pulp, vegetable oil and a vitamin/mineral supplement. You’ll note that in this example, phosphorus was still low, so I had to add a specific mineral (I used monocalcium phosphate) to balance it. You’ll also note that in this example iron (Fe) is very high. Iron is often found in sufficient amounts in most hays, and is found in large amounts in beet pulp. Excess iron intake is rarely a problem, however, because the body typically doesn’t absorb it unless it is needed. I think these examples show the potential benefits of using a commercially fortified grain mix (in terms of simplicity, labour by minimizing the need for additional supplementation and confidence in knowing your horse’s diet is well balanced), while using whole grains may be more cost effective. Working with an equine nutritionist can help figure out which plan would best suit your horse, your hay and your management style, to ensure the horse meets his dietary needs. Doctor’s Notes In this year’s series, equine nutritionist, Shannon Pratt-Phillips, Ph.D., will provide some example diets for horses in different classes, but remember these are examples, as each horse is different. In each example, an average 500kg mature body weight will be used, all noted requirements will be taken from the NRC’s 2007 Nutrient Requirements of Horses, and all forage and feed information will come from www.equi-analytical.com and Pratt-Phillips’ own databases. Obviously, a horse’s diet will differ depending on the quality of hay or feeds offered, and hay analyses are suggested to accurately evaluate your own horse’s diet. If commercial feeds or supplements are warranted in a diet program, Pratt-Phillips will use a fictional formula (and will provide goal percentages for several nutrients), though these may or may not be very similar to commercially available brands. 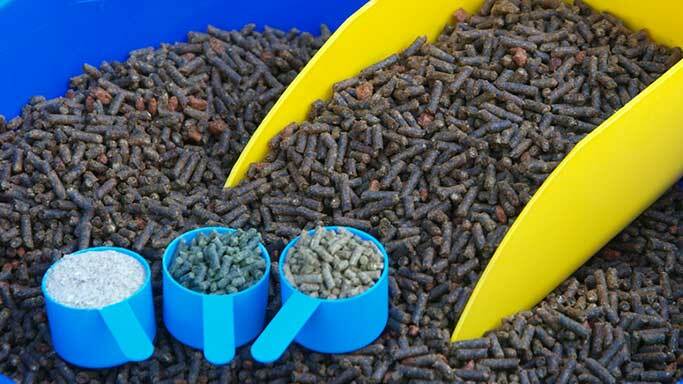 It is suggested that you look for similar feeds, and work with a qualified equine nutritionist to help you select a feed or supplement that compliments your hay to meet the nutrient needs of your horse. 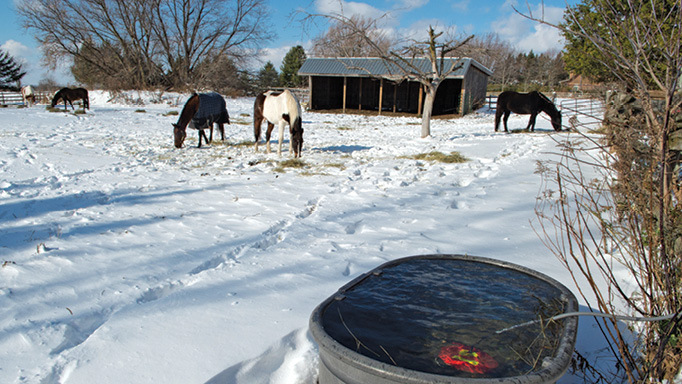 Should I Warm my Horse’s Water When it’s Cold Out? Find out why water intake is so important all year-round.